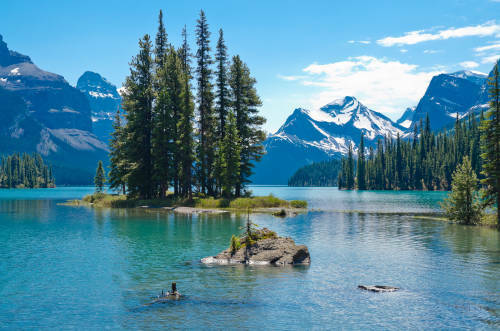 Soak your travel-weary bones in the Miette Hot Springs and drink in the view of the surrounding Fiddle Valley. Stop in at the Icefield Interpretive Centre and buy tickets for an amazing snow coach tour on the Athabasca Glacier. The Athabasca Glacier is North America’s most visited glacier and is easily accessible from Banff, Alberta or Jasper, Alberta by road during the summer months. Take in an aerial view from the Jasper Skytram, Canada’s longest and highest aerial tram just ten minutes from the town of Jasper, Alberta. Hit the slopes in the winter at Marmot Basin Ski Area, and don’t worry about packing; Their rental shop will outfit any novice or expert with the latest equipment. Cast a fly for rainbow and brook trout at Medicine Lake which is part of one of the world’s largest underground riverways. Take in the views of Pyramid Lake and Pyramid Mountain, a towering 9,000 feet of rock, ice and snow. Located in between fascinating and magnificent mountains and charming lakes. 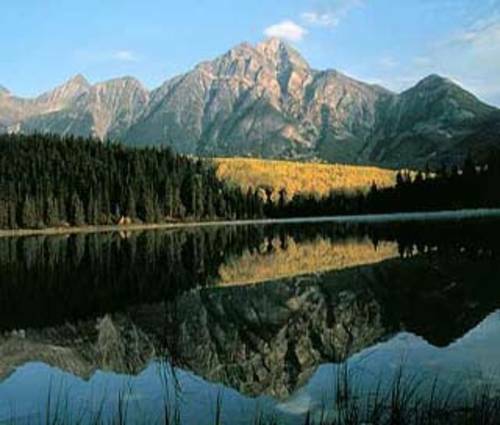 The Fairmont Jasper Park Lodge invites you to the Grand Rocky Mountain Lodge Experience. This beautiful resort offers spotless rooms and outstanding service near Canada's Jasper National Park. There are 32 Chalet guest rooms, most have at least two queen beds or one queen, to choose from at the Glacier View Lodge's convenient location.